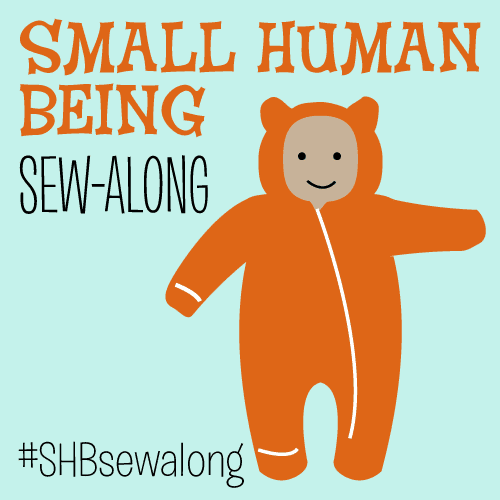 Our Small Human Being Sew-Along has come to an end (OK, technically it ended two weeks ago, but since your hosts all have small babies, let's overlook that, shall we? 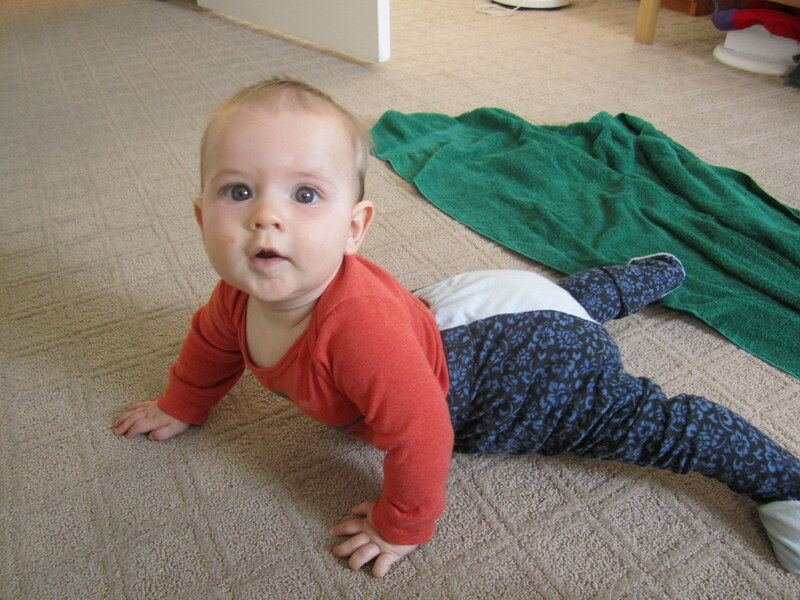 ), and it's time to round up the final projects for Category 1: Baby Clothes! 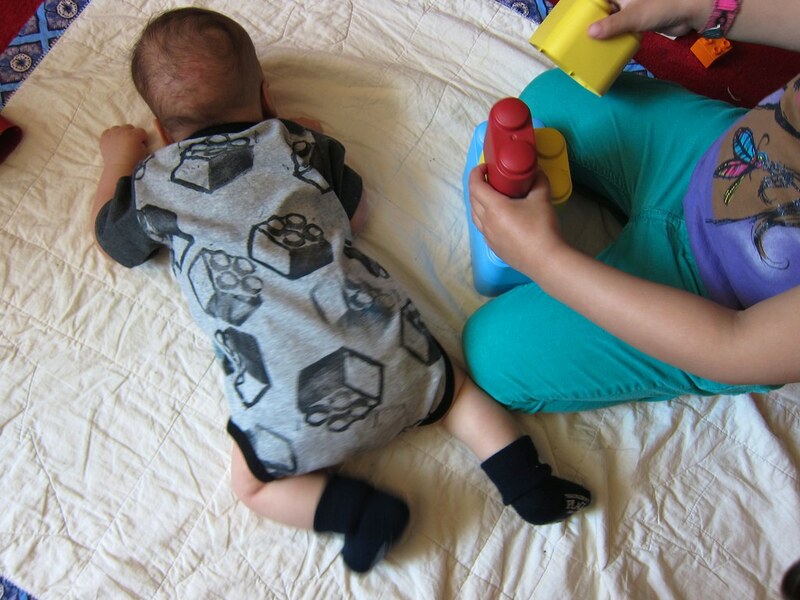 Cindy of Cation Designs will be rounding up Category 2: Baby Accessories and Clio of Clio & Phineas will be featuring the Category 3: For Parents projects. We were impressed and inspired by what our participants made — especially since some of you had multiple small children running about, were tired and pregnant, and/or were working mamas to small babies. I know I personally was so fired up by the sew-along I've kept the momentum going, and have really learned to work in tiny baby-catnap-sized time chunks — tracing a pattern here, sewing a few seams there, doing a little handsewing. And on to the projects, in no particular special order. I do think I've captured everyone's clothes submissions here, but please let me know if I missed you, as we'd like to feature at least one piece from everyone. (Where I have used links instead of photos, it's due to photo permission issues, not because I didn't want to feature a piece). Sew-Along co-hostess Clio made a sweet elephant print baby sleep gown for her little Taco baby with a convertible mitten cuff, and wrote up a tutorial for the cuff, too! Brianne Ramirez made a little floral ruffled romper — oh goodness this is cute! 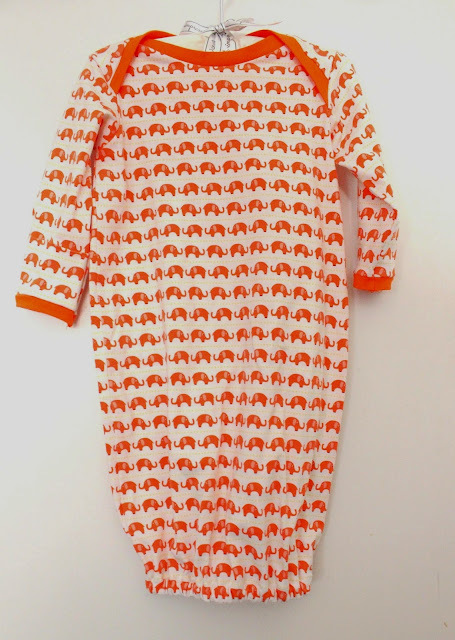 Finally, Flickr user a2assiramarah made a raglan tee with a hand drawn elephant and coordinating leggings for her second baby girl. Which is not to say the sweet items aren't cool, but only that I needed to make some categories here, so... these are cool. 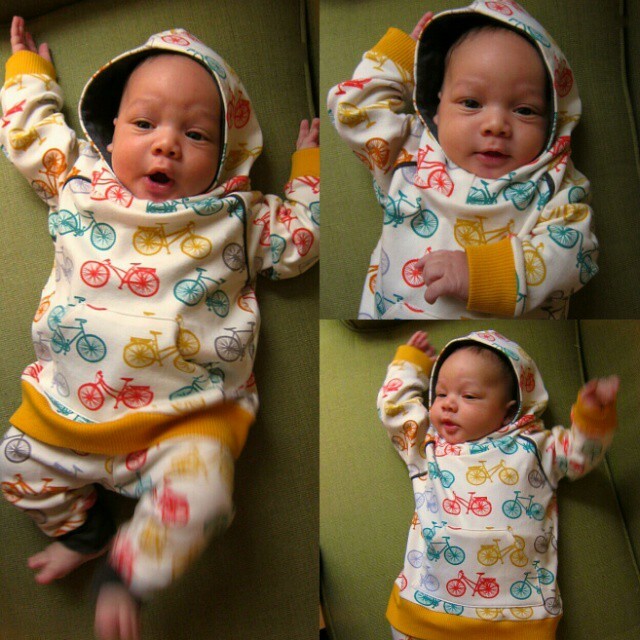 Masha at the Itinerant Seamstress blog made some awesome outfits for her fourth (not yet arrived) baby — I love her use of stripes! And Flickr user oes1 made several fantastic outfits using patterns from Ottobre magazine — I love the knee patches here especially! 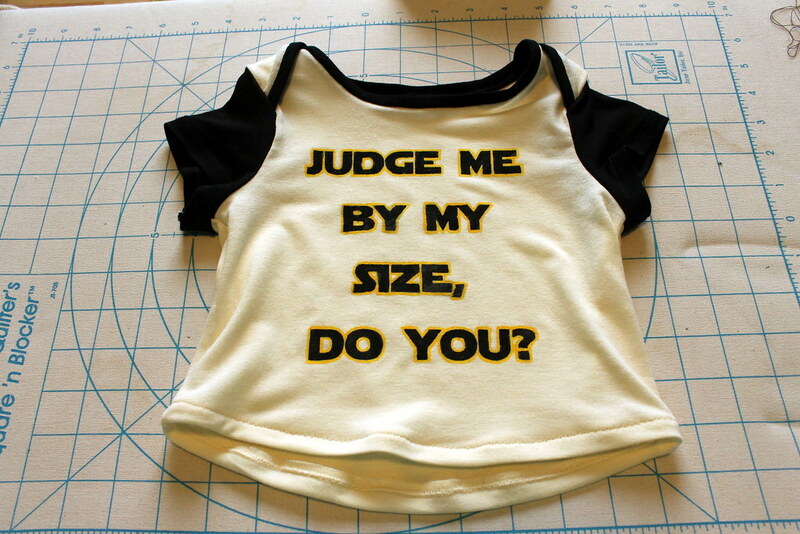 Given your hosts, how could there not be a large component of geek-tastic baby clothes made for the sew-along? With 3 kids under the age of 4, and being pretty pregnant with the baby that I'm actually making these things for (thus, needing sleep), I found with this sewalong how to get sewing time in: firstly, to sew in little chunks of time (15ish-25ish minutes) during their snack times or when they're in quiet play, the key being always being willing to walk away in a second when the kiddos were unhappy. This meant that I had less negative feelings about sewing, and the kids were happier, and I was happier (and less frustrated)... Also, exchanging my 1 hour or so after the kids go down that I used to spend on Pinterest/internet, for sewing time instead. I would have "sewing days" which were no internet days. 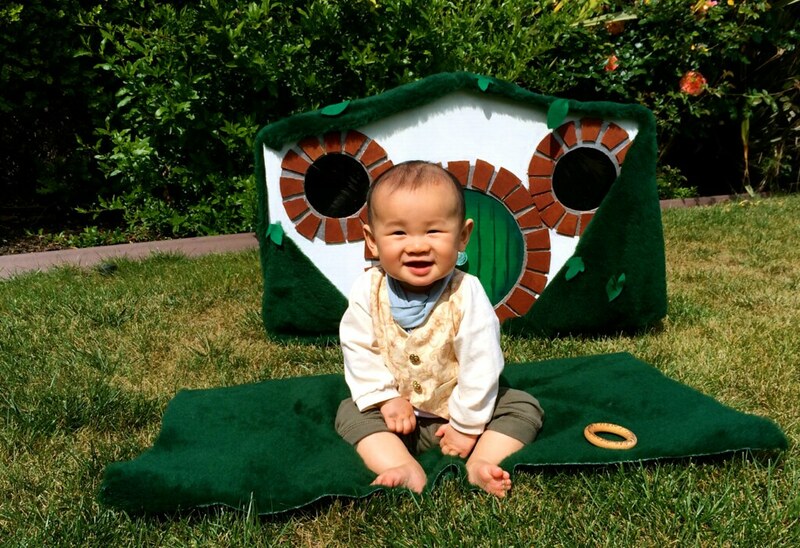 SHB Sew-Along host Cindy went into geeky baby sewing overdrive, and made her little Hobbit a ... Hobbit costume. 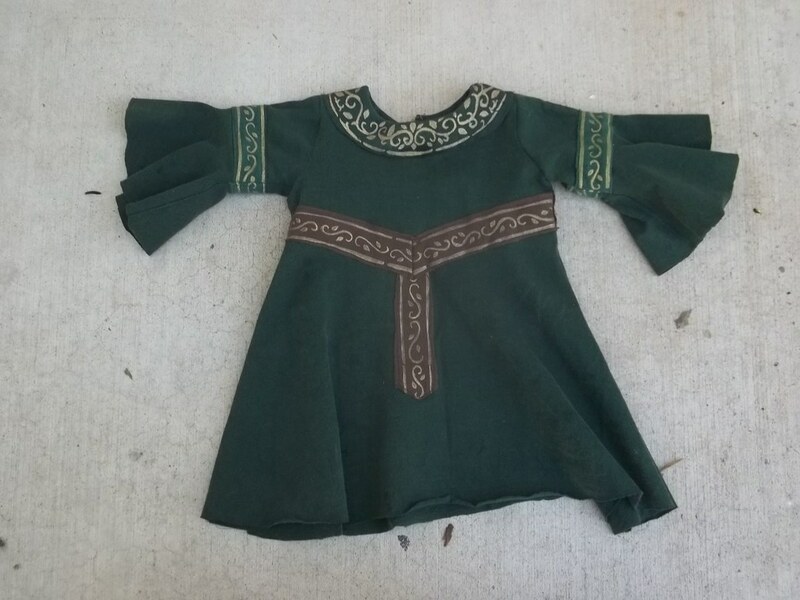 To wear in front of a mini Bag End. While chewing on his Cindy-made teething One Ring. WOW. 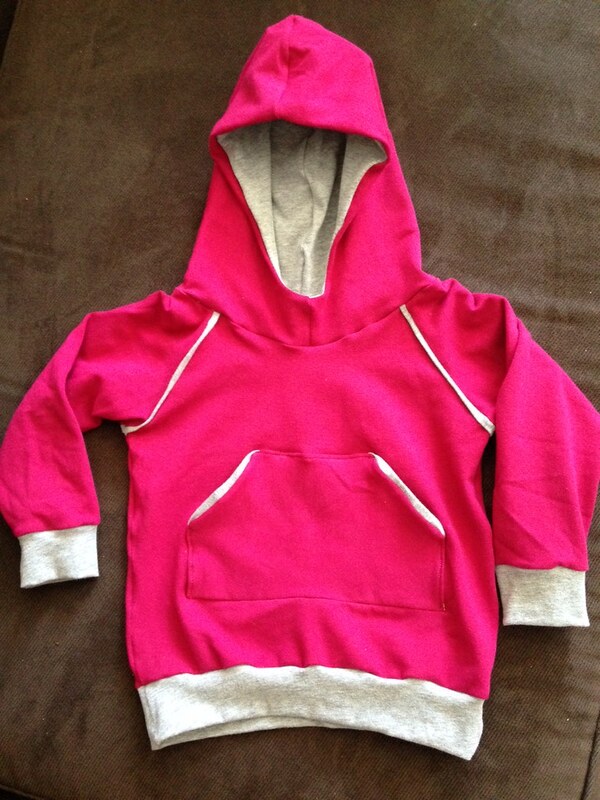 Phew, I think I got at least one baby clothes project from everybody in here? Please let me know if I missed you and I'll edit the post. 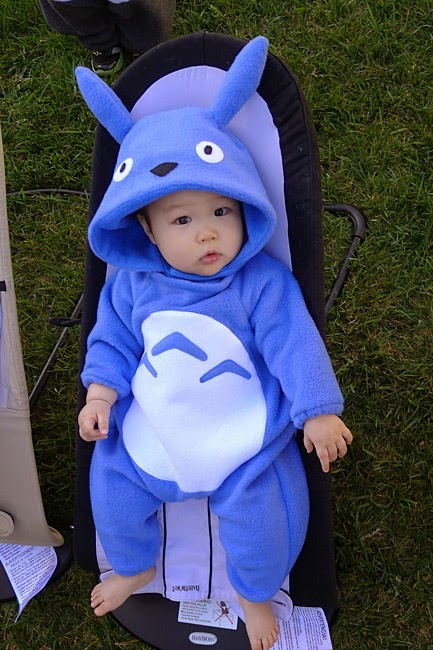 Thanks so much for joining us, whether you sewed just a little baby bib or a whole pile of elaborate baby outfits! 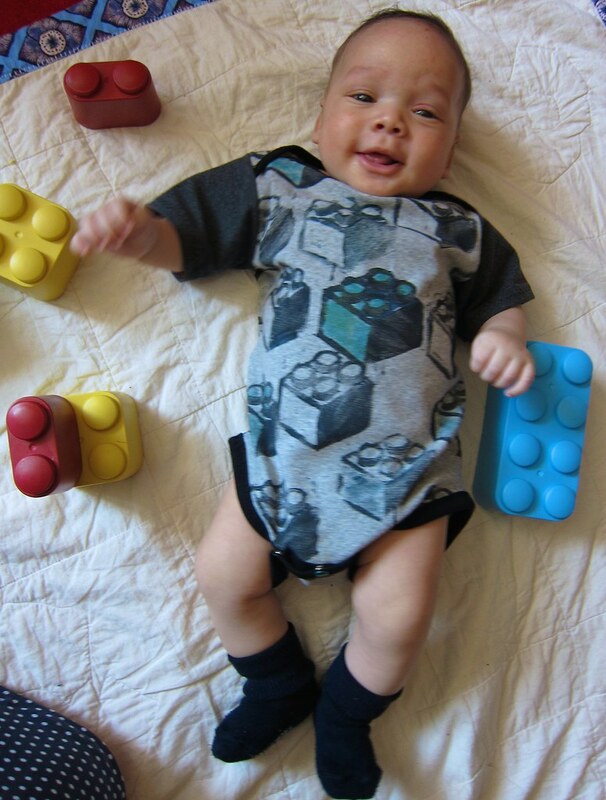 The Lego onesie will not be too big for long. In three, two....outgrown! Oh my gosh, these are all so fun! I am so impressed with what everyone made. This was such a fun sewalong, thank you for hosting! 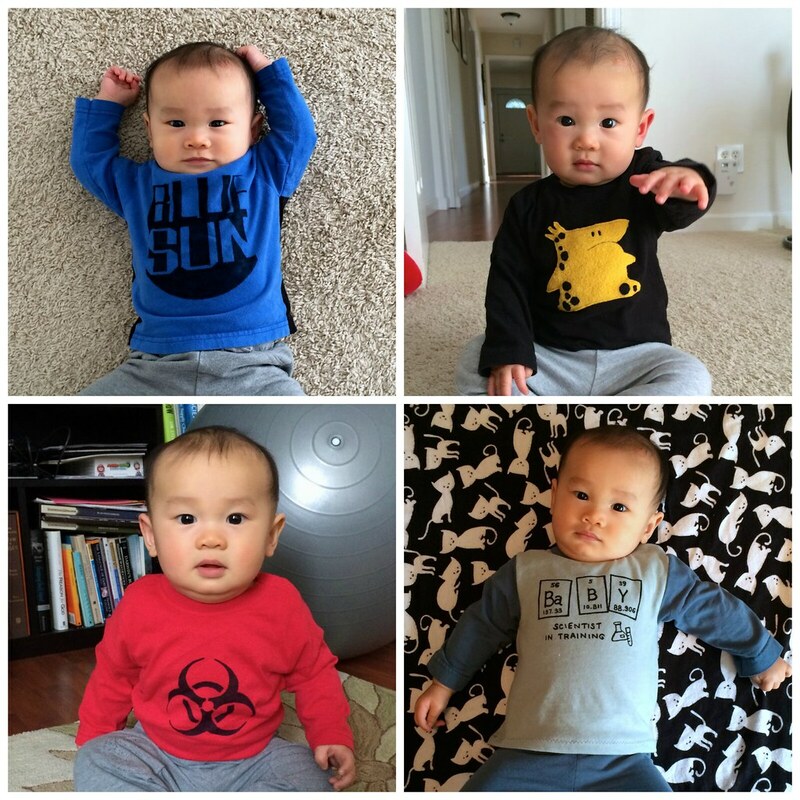 That Lego onesie is super adorable. My wife loves the bicycle one. We are expecting our first and we want to make sure that the clothes we get, will set the right tone of who we want our baby to be. The thing that confounds this effort is the fact that we aren't finding out the gender until the baby is born. 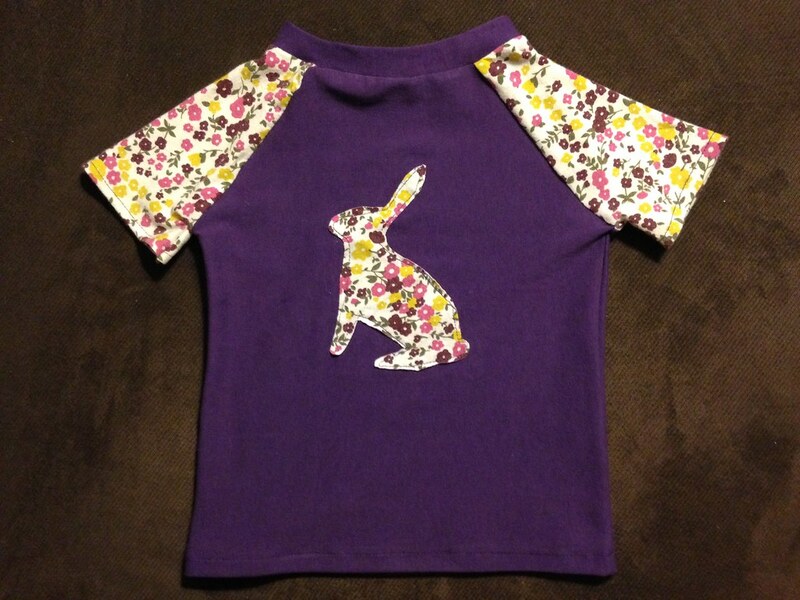 Anyone have a great shirt design that works for any baby?